OnePlus’ conducts Open Ear seminars aimed at listening to the opinions and suggestions from its fans worldwide. 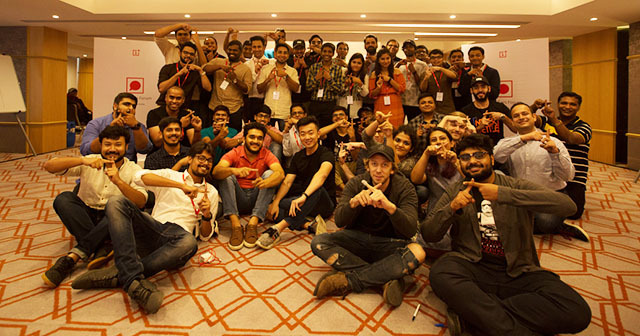 Recently, India’s first Open Ears event took place in Goa and the company has highlighted six key takeaways from the session that it will focus on in order to improve the performance of not just the latest flagship OnePlus 6, but also older phones. OnePlus introduced a nifty feature called FileDash which is a peer-to-peer file transfer system that uses Wi-Fi. The company introduced the feature in OnePlus 3 and 3T and it has, since then, made its way to newer devices. While the feature is primarily meant to transfer between its phones, it works like other Wi-Fi based sharing tools like Mi Drop and SHAREit and the company now intends to make it more powerful and useful. Moreover, it will also extend sharing via FileDash to other apps apart from the File Manager. Secondly, the company will be working to bring a desktop sharing and backup option to its data backup app OnePlus Switch which facilitates easy transfer of contacts and files from an old phone to a new smartphone. Selfie portrait is a feature which is selling like hotcakes so the company will be working to bring the feature to older devices including OnePlus 5 and 5T. The company has also paid attention to older devices such as the OP3 and 3T and we might get to see selfie portrait in those devices at some point, but there is no promise from the company yet. It will also continue working on improving the output of the camera and will rectify the “Oil Painting Effect“. OnePlus’ interface is very close to stock but it allows users to select accent colors as per their liking. Based on the users’ feedback, the company will be adding newer color themes. Additionally, it will be working to bring a dark theme for Shelf. It is great to see a (now) big company like OnePlus attending to the needs and expectation of its consumers and that can be attributed to its success despite a relatively shorter journey.